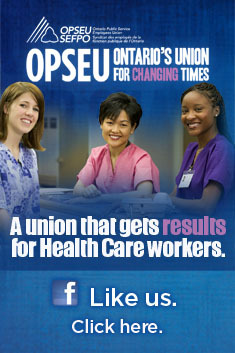 We were reminded last night that Ontario hospitals live in very different realities from each other. When University Health Network CEO Bob Bell has a casual chat with Health Minister Deb Matthews, it is a very different reality from that experienced by many regional hospital CEOs. Last night’s occasion: the annual general meeting of the Toronto General & Western Hospital Foundation – one of several foundations associated with the Toronto University Health Network (UHN). This is a foundation that has successfully recruited from the city’s “high value” donors and pulled in a staggering $75.9 million dollars in 2012-13. Most of that money will be put towards cutting edge research that is producing laudable results. The presentations made last night were very different from the tense telephone town hall Bell’s colleagues at The Scarborough Hospital and Rouge Valley Health System had to navigate earlier in the week. While the two eastern GTA CEOs have to contend with suspicions that their proposed merger is a smoke screen for $28 million in potential service cuts, officials at the UHN are not shy about talking about visible expressions of the “stature” of their hospital. While The Scarborough Hospital CEO Robert Biron says it’s too early to tell what staff will have to be let go in a merger, UHN boasts of the latest “star” talent they have been able to recruit to Toronto. The evening began with a video replete with swelling strings that outlined the long-term vision of UHN to building a downtown hospital empire. Animations showed towers coming down and new bigger towers going up. It showed a central neighborhood already in advanced stages of acquisition to provide new space for the hospital campus to grow. It indicated where a bridge would eventually connect two buildings and an atrium to surround another. Different departments leaped out of the video as green blocks that would be eventually be consolidated into a single entity elsewhere on the map. When the Niagara Hospital System’s (NHS) ministry-appointed supervisor recommended a new South Niagara hospital, many in the community were skeptical that it would ever come to pass. Some were concerned the meagre aging hospital building stock that presently exists would be made redundant before the cranes are ever set up in South Niagara. At UHN, this ambitious new plan appears as part of an ongoing continuum. Nobody doubts UHN’s ability to pull off such an ambitious expansion/renewal. Next door to where the meeting took place the UHN is putting the finishing touches on the Krembil Discovery Tower, built for $173.9 million. More than a third of that cost is coming from philanthropy. The Krembil family got it started with a single $30 million contribution. This sort of thing just doesn’t happen in hospitals like South Grey Bruce Health Centre. Bell told the well-heeled audience that notwithstanding several individuals in the room, the hospital was among the bigger property holders in the City of Toronto. The fact that he had to qualify his statement speaks volumes about who was there. Don’t misunderstand – the UHN is doing some amazing work. Dr. Barry Rubin, Program Director of the Peter Munk Cardiac Centre, presented some of the breakthrough research the hospital is conducting. That includes a new surgical procedure that immediately lowers the blood pressure of even the most chronic patients – including those resistant to drug therapies. Another involves using the patient’s own stem cells to regenerate damaged heart muscle. Audience members were among the first to premier a video that highlights cutting edge technology that will allow doctors to scan a patients’ organs and have them represented accurately as a three-dimensional hologram. The UHN will be among the first centers in the world to have such technology when it goes commercial next year. Much of the research work that UHN is doing will eventually benefit not just all Canadians, but patients worldwide. That’s a good thing. So why are we staggered by such display when we see the alternate realities that can be as little as a subway ride away? This entry was posted in Uncategorized and tagged Dr. Bob Bell, Hospital Foundations, Robert Biron, Rouge Valley Health System, The Scarborough Hospital, UHN, University Health Network. Bookmark the permalink.